Calling Cards Can Save You Money! I remember back in the day when calling cards were about long distance calls; that was before nationwide calling plans (in the U.S.). With the world becoming more and more global though, there's a lot of interest in international calling. 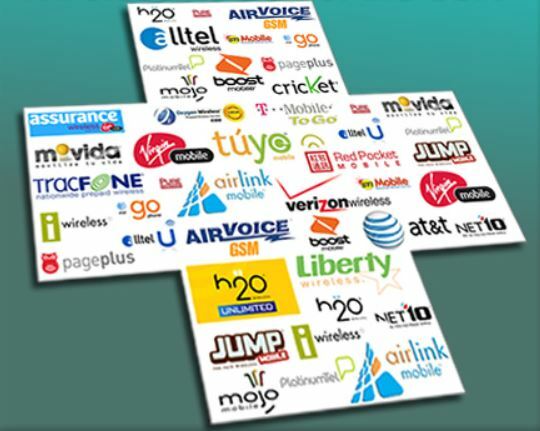 So much so that wireless carriers began competing on international calling being included in their plans, or special add-ons. In fact, wireless carriers, and services like Google Voice are slowly eroding the value of these cards, and also offer a better user experience without the need for special numbers and PINs. That said, depending on your country, long distance cards can still be very valuable, and certainly international calling is still relevant. The great thing about calling cards is that you can use them with any phone, including your prepaid wireless phone. Just remember though, that you'll still be using your prepaid wireless minutes according to your plan rules. So if your prepaid carrier offers international calling plans, you'll need to factor in the total cost when comparing to these types of cards. Price per minute to the country or countries you call most often. Connection charges - Some cards charge a one time fee just to connect a call. You'll usually find that you get a lower price per minute when there's a connection fee, which is still a good deal when you make long calls, but for short calls, your effective price per minute will obviously be much higher. Other fees and tariffs - Sometimes there are taxes and other charges tacked onto the price per minute, or even monthly charges (whether or not you use the card), so be sure to read the fine print! Can the PIN (Personal Identification Number) be recharged (i.e. reused)? - If yes, many consider this to be a great benefit because you can continue to reuse the same PIN and likely come to memorize it, or program it into your phone, which makes calling much easier. Do they offer local calling numbers? - Often times they'll charge you more per minute if you use an 800 number to help cover their cost to maintain the toll free numbers (so really they're not toll free!). When I used to use these cards a lot in the past, I never know whether I'm going to have a short or long conversation (they may not be home or running out to do something when I call), I preferred an international calling card with a fixed/flat rate, with no connection fee or extra charges. That way I knew exactly what I'm paying per minute. For this peace of mind, I was willing to pay a slightly higher per minute fee. Of course, depending on your needs and calling patterns, your preferences may be different. That's why there's so many options out there for you to choose from! You can login online and setup the phone number that you usually call from, so when calling from that phone, it will automatically know your PIN so you don't have to enter it at all! Then you just have to enter the phone number you want to call. For me this was an amazing feature. They offer a convenient 800 access number. You can recharge the same PIN, which means that you don't have to worry about keeping track of new PIN numbers. You'll need to know the PIN if you don't call from your normal phone, or if someone else in your family is sharing the card, and using it with their own phone. You can securely store your credit card in your online profile so you can easily recharge anytime. That said, as a general rule, I try to avoid storing my credit card info with too many online websites to help minimize the chance of fraud. Of course, for services you use often (ex. Amazon, eBay, or prepaidonline.com), it's often too convenient to not take the risk. Just use your best judgment! You can accumulate points for each purchase. They keep it real by providing a brief summary of the best usage of the card. For example, they say that such and such a card is best for long calls only, which takes some of the effort out of analyzing marketing mumbo jumbo. They have a simple tool that helps you zone in on the best options depending on what country you're calling from, and what country you're calling to. So, if you call internationally even a little, and your wireless provider doesn't provide a good option for direct calling, you may want to consider a separate calling calling card.